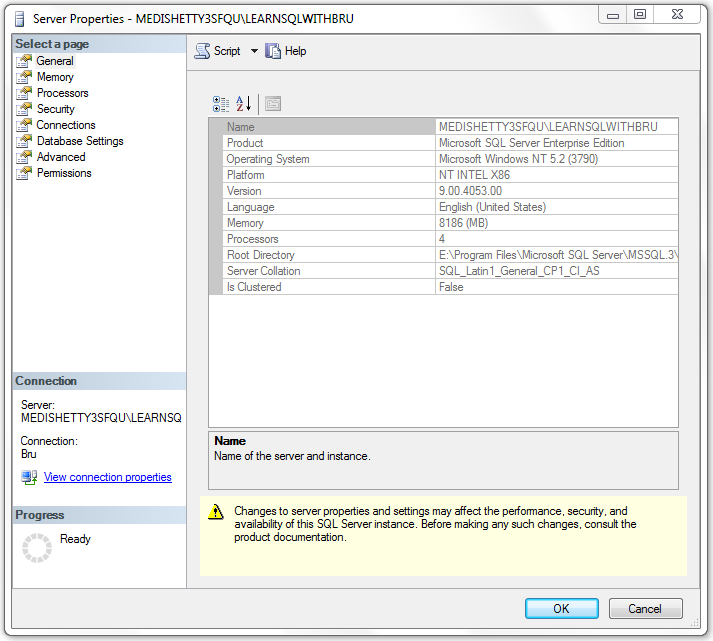 This article explains the procedure, how to change the authentication mode in SQL Server. Authentication mode of a SQL Server instance is the deciding factor how the SQL Server authenticates the users and logins. SQL Server supports 2 authentication modes: Windows Authentication Mode & SQL Server and Windows Authentication Mode. There are advantages and dis-advantages in choosing these authentication modes, which will be covered in a seperate blog later. 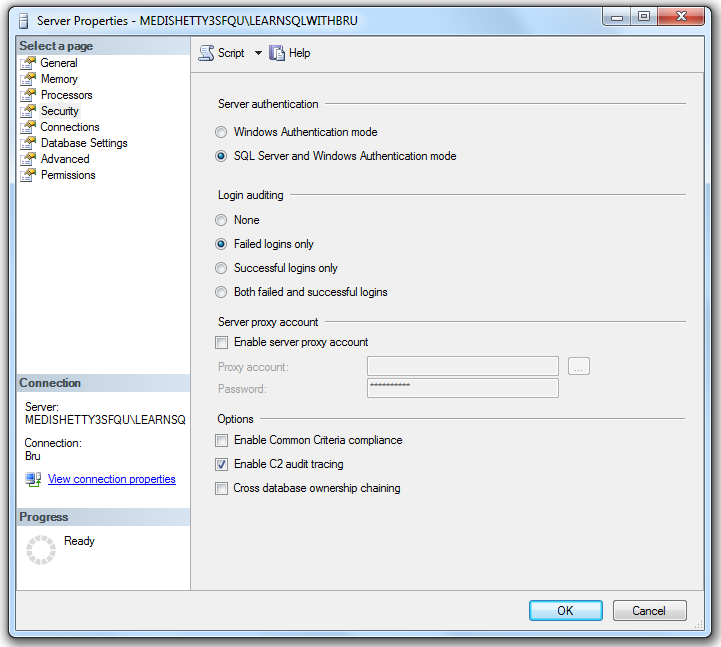 Let’s take a look at the steps to change the SQL Server Authentication Mode. We start by right clicking on the SQL Server instance and choose Properties from the pop-up menu, as shown in the below image. 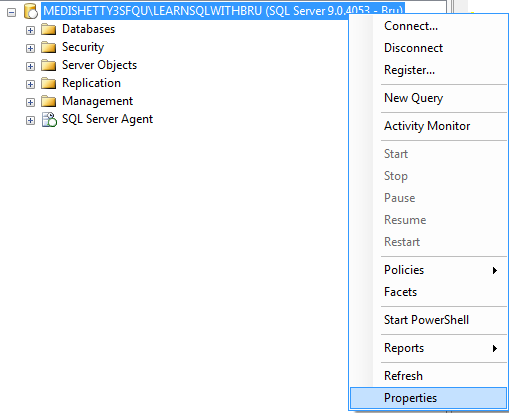 Then, SQL Server properties window is displayed. (as shown below). Choose Security page in left pane of the dialog box. Now in the right side pane, in the top section (image below) you have the Server authentication section under that the 2 authentication modes are listed as an options, (at any point onnly one of them can be selected). Choose the appropriate authentication mode you would like the SQL Server set to and click OK. The next step is to restart the SQL Server. This entry was posted in SQL Server and tagged Administration, Authentication, Security by Brumedishetty. Bookmark the permalink. is it possible to change this value via a sql script or do i have to change the registry key if i want to do this via a script?